With financial support from the Andrew W. Mellon Foundation, an anonymous donor and an eligible university match, Prairie View A&M University (PVAMU) is set to revamp its curriculum with a new African-American Studies Initiative. ill infuse African-American Studies content throughout liberal arts offerings and also allow the university to work towards the creation of a formal African-American Studies Program, officials said. Wilson, a trained historian, added that while PVAMU is known for its programs in the sciences, technology, engineering and mathematics (STEM), the latest financial gifts and grants for the African-American Studies Initiative – $500,000 from the Mellon Foundation, $250,000 from the anonymous donor and an eligible $250,000 university match – will balance the “intellectual focus” of the university so that students have an opportunity to write, read and work from a broader context that humanities can offer. Throughout the summer, Wilson worked with interim provost Dr. James M. Palmer and Dr. Danny R. Kelley, dean of the College of Arts and Sciences, to brainstorm ideas and identify notable scholars in African-American Studies for a planned symposium about the new initiative. Scholars will work with a cohort of faculty on developing new courses and redesigning existing courses across the PVAMU Core Curriculum. They will help to establish program priorities, review core course themes and hold public lectures and workshops in their respective fields in African-American Studies, officials said. 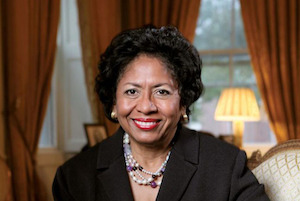 PVAMU leaders hope that the university’s efforts to bring an interdisciplinary and comprehensive understanding of the history and contributions of African-Americans to their students will send a larger message to historically Black universities and colleges (HBCUs) across the nation. “It’s sending a message that this is an important chapter in African-American history that the legacies of things that are happening in our country need to be put in a context so that people can articulate why it is important and significant to be African-American,” Wilson said. This message is already evident at several HBCUs that offer African-American or Africana Studies programs or specializations such as at Florida A&M University, Howard University, Winston-Salem State University, Morehouse College, Morgan State University, Tennessee State University, Clark Atlanta University and Tuskegee University, which launched an African-American Studies minor this fall. Students can hold specific concentrations in history, economics or healthcare while being an African-American Studies major. And because the programs are “diasporic,” students from the Bahamas or Haiti or the United States, for instance, can examine and analyze issues affecting Black people around the world, Ellis said. Ellis noted that economic downturn prior to 2010 was among the factors influencing the development or sustainability of African-American Studies programs at HBCUs because it negatively affected funding for many humanities programs. However, he is seeing an increase in students enrolling in the programs as they become more invested in learning about African-American studies and its interdisciplinary components. Particularly at FAMU, 22 undergraduate students went on to receive their Ph.D. in history since 2000, Ellis said. “For those students to go on and pursue a Ph.D. program is, I think, a testament of the rigor of the program, but also a testament to how the program peaked their interest in gaining a post-graduation education,” he added. Today, scholars see a need for enhanced African-American studies curriculum to give students the types of programs they want and that will help them to communicate, think critically, research and take a cultural understanding to any field of work. Highlighting the controversial shooting death of Botham Jean by a Dallas police officer who allegedly mistook the victim’s apartment for her own, Wilson stressed that HBCUs have an opportunity to empower their students by integrating African-American studies into their curriculum.